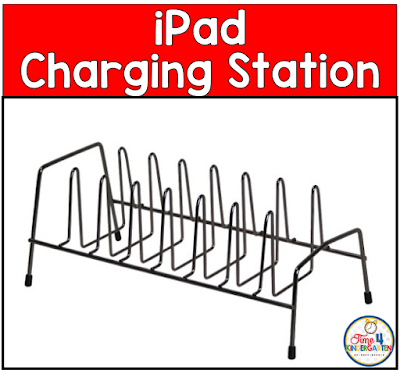 This Weeks Must Have Teacher Tool is an iPad Charging Station.. But before we get to that...Did you survive last week with the full moon and Halloween? We had a costume parade and all. I was Cinderella right down to the glass slippers- Ok they weren't glass, but they were clear glittery plastic. I managed to lose them by recess time and trade them in for silver sandals. We had several singing Elsa dresses and the always popular variety of superheroes present. Saturday was the school carnival- the fairytale dress was traded in for some ladybug wings. Much easier to maneuver about in. Last week we finally were able to get our technology rolled out. All the iPads are up and running. That was quite an undertaking. All of them had to be updated to the latest IOS and new apps needed to be added. Storing and charging 9 iPads can be quite a task. I needed something to hold the iPads while they charged so I could quickly plug them in and grab then when they were ready. This past summer I found just what I needed. It is this inexpensive little gem from Target- who doesn't love Target- It is in the kitchen organizing department; it is a lid rack. 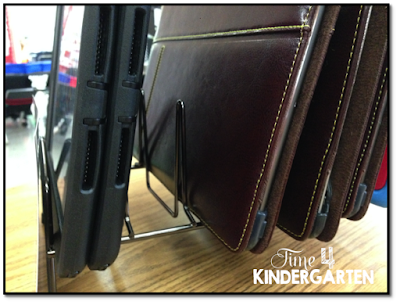 It has 8 slots, so depending on the size of your iPad cases it can hold 8 or more iPads. I have 3 different styles of cases. I can get 2 iPads in one section depending on the type of case that I have. The ones in the front slot are Otterboxes- I like these, they are new this year. I can get two iPads in one slot. I purposefully left a slot open to show you how wide they are The next iPads can also fit two together. I don't like these cases, our district bought these. They weren't what I ordered. They're not kid friendly at all. I'm thinking someone got tired of listening to me and bought the Otterboxes this year. If you look at the second picture below, you'll see a different case all together. I like these cases too, but I had to buy these myself. They are from Griffen Technologies they are more bulky and only one fits in each slot. There are different styles of lid racks, so I suggest that you take an iPad with you when you go shopping to see which style of lid rack works the best. This one was also within my teacher budget, it was only $7.99. I know that other people use dish drainers. I found these to be a little to small for the larger iPad cases. like the red and blue ones I have above on the left. 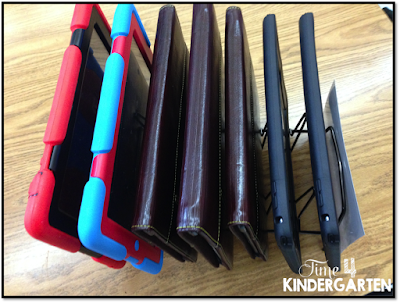 For me this seemed to be the most inexpensive solution and it held the most iPads. For more information on managing iPads you can read about it in and older post I wrote about Setting up your iPads. If you are thinking wow that is a lot of iPads! Yes it is. Our school district has a fabulous Education Foundation who works very hard all yearlong to raise money for teachers. Each year teaches submit grant proposals for various classroom materials. For the past three years I have asked for iPads. The most they will fund is two iPads per classroom a year. I've also received a few through Donors Choose. 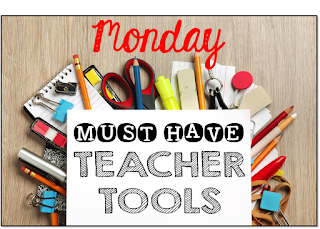 Without our Education Foundation, my classroom would be empty, I wouldn't even have a document camera, a listening center or classroom library. Allright, it's Sunday, I needed that extra hour today, so very thankful for being able to set the clock back one hour. 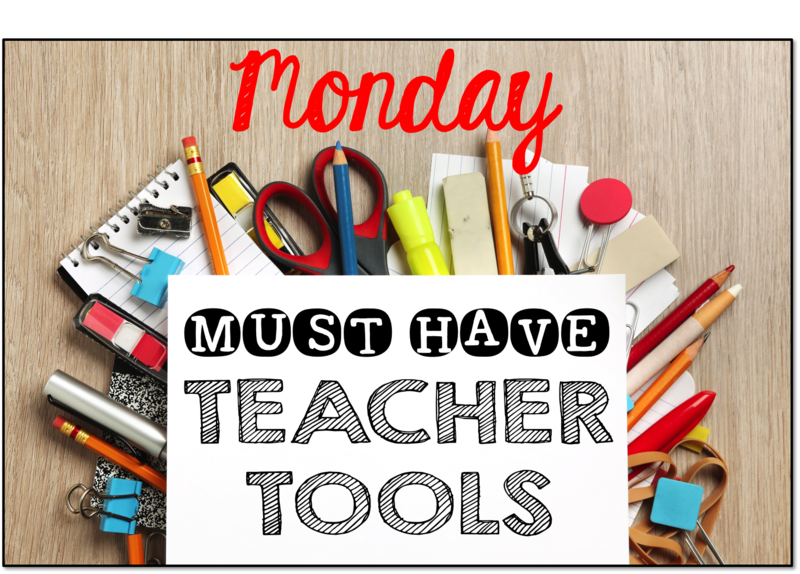 This girl has a lot of lesson planning to do for the week. It's starting to feel like fall here today. Who knows I might just be able to wear my new boots that have been taunting me for the past few weeks just sitting there peeking out of the bag. I't been in the 70's and 80's here not quite boot wearing weather. Thanks for all the great info. 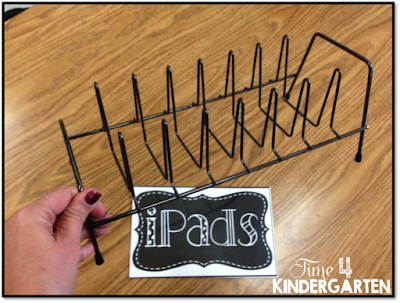 I use a dish rack for my Ipads. It holds 14 ready for charging. I managed to find them in the Dollar store too so saved money.